The black Universal Folio Travel Case for 7" Tablets from Aluratek holds a 7" tablet within its slim and lightweight design. 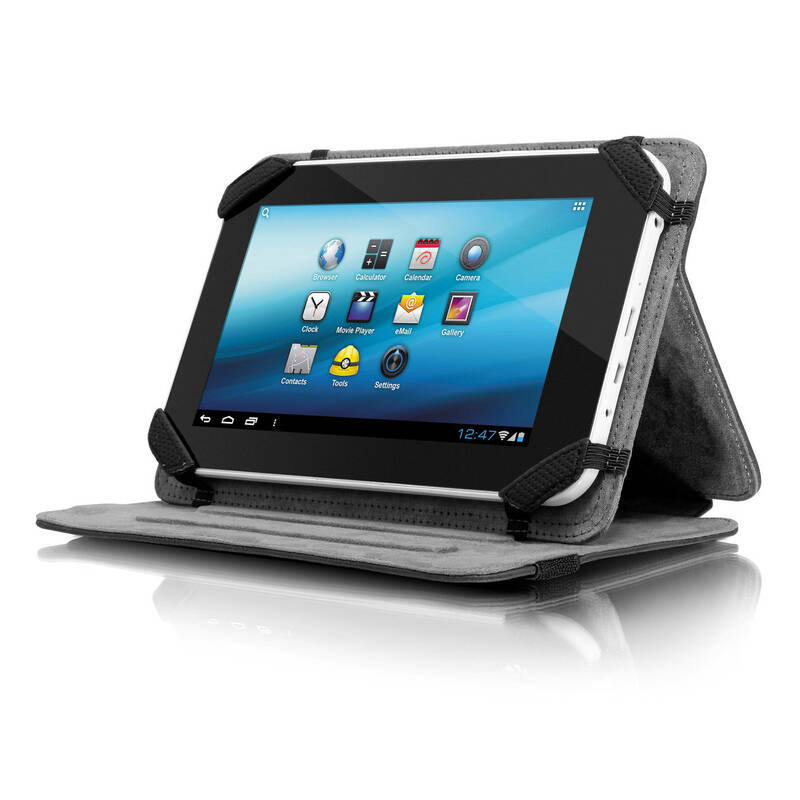 Four corner loops lock your tablet into place while it is protected from bumps and impacts. A magnetic closure along with an integrated cover strap helps to ensure that the case stays closed while in transit. When you wish to view your tablet's screen in landscape mode, the internal frame can be tilted up and held in position by the cover which converts into a stand. The cover's inner texture features multiple stops that allow for flexible angle selection and keeps your tablet steady while in the viewing position as you touch, swipe, or type. Access to all buttons and ports are maintained while a soft, microfiber inner lining helps to ensure that your tablet's screen is further protected from scratches when inside this case. Box Dimensions (LxWxH) 9.606 x 6.142 x 1.102"